Last minute entry on the SugarPea Designs challenge! Yikes!! I've been so busy with Spring Break and working on a wedding cake this past week that I hardly managed to make this card! I used a variety of Copic Sketch Marker colors. Sorry, can't list them just right this second, since I am doing this a bit late... I will try to post them later. YAY! And my card earned the Sweet Find of the Week at SugarPea Designs!! Check out my badge! Hello, again! 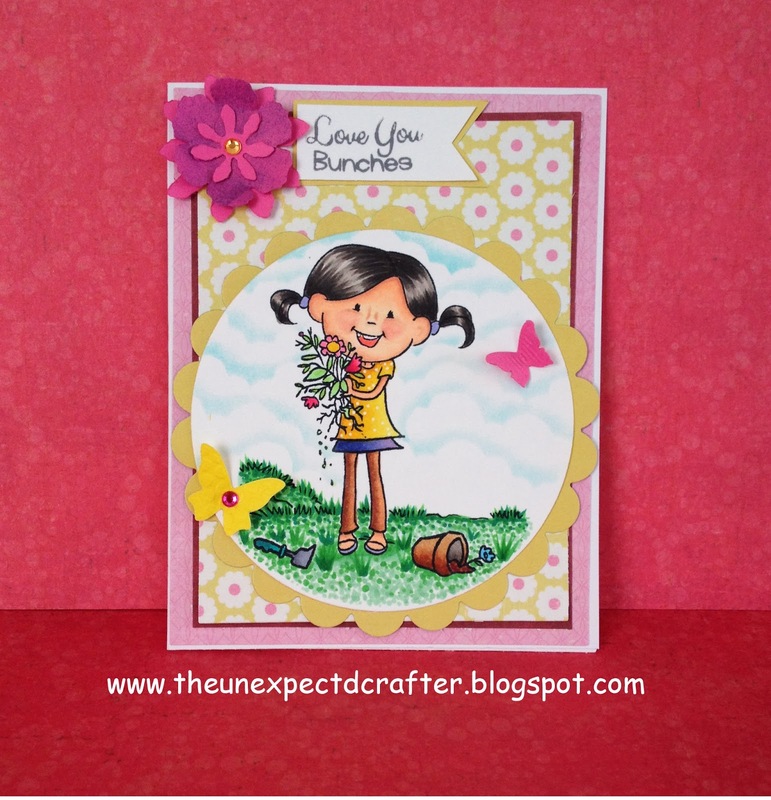 I made another card with this lovely girl and puppy stamp from SugarPea Designs!! I wanted to use a darker skin tone on the girl and it came out pretty good!! Love the clouds and the card colors! Its screaming SPRING! Entry on Kit and Clowder Challenge Wings! So excited!! I recieved my new sets of stamps from SugarPea Designs and immediately made a card!! I am entering this card into their Sugar Sketch Challenge! So fun! YAY!! My first card using one of Sugar Pea delightful clear stamp sets! I took my Copics out right away and started coloring this cutie pie!! First time entry at the Besties challenge! I am a very CAS kind of person, so this card was hard for me to do! She is sooo adorable that it needed I think all the girly embellishments I put around her. I have to say that I absolutely love the hair color!! I saw someone use this color combination and just fell in love with it!! Honey blond? I would think so. 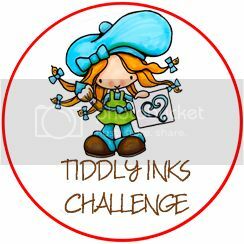 Entering this cutie pie in the Tiddly Inks All Green Challenge!! Its my first time entering a project on their challenge! Woo-hoo!! Their images are awesome! That cute butterfly in the corner I cut out using a Sizzix Embosslits that I absolutely love! Here is this little cute ballerina from All Dressed Up Blog that I colored and made a card to enter on their Clean and Simple Challenge!